$41.99 & FREE Shipping on orders over $59. We have a great selection of grain bags to keep your beer clear and let you Brew in a Bag. The disposable bag is a cheaper 1 time use option for either grain or hops. If you are steeping up to 2 lbs of grain, the 8" x 15" bag works great but if you are looking to steep more than 2 lbs or are doing a Brew in a Bag the 29" x 29" grain bag is the way to go. The 6" x 8" hop bag is great for small 1-2 oz hop additions and the larger 9" x 12" hop bag is perfect for whole cone or larger pellet additions. Sanitizing your equipment is one of the most important steps of the brewing process. When you finish your boil, you want to make sure that you provide a sterile environment for your yeast to do its job. Other microorganisms can stress your yeast and add off-flavors to your beer. Priming sugar is used during the bottling process to carbonate your beer. Add some fermentable sugar to your beer before bottling and the yeast leftover from fermentation will continue working and carbonate your beer right in the bottle. You can also use carbonation drops by adding 1-2 to each bottle before capping them. If you are looking to bottle your beer here are three of our most popular beer bottles that will keep your beer safe until you are ready to drink it. Each package of bottles includes enough to bottle most of a 5 gallon batch (if you have a full 5 gallons you may need a few extra bottles). These bottle caps are commercial grade and will keep your beer fresh until you are ready to drink it. The package includes 50 caps which is enough to bottle 5 gallons of beer with a few left over! The caps have a diameter of 26 mm, meaning they will fit all American beer bottles.They contain an oxygen absorbing agent in the liner to prevent oxidation. 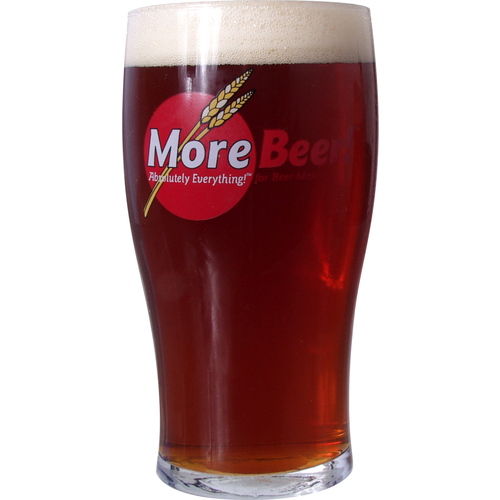 Propper Starter™ is condensed wort in a can, allowing you to make a yeast starter in minutes! No need to make a mess in the kitchen measuring out DME, and no need to waste time boiling and cooling before you pitch your yeast. Simply open a can of Propper Starter™, pour it into your flask along with 16 oz of bottled or distilled water, then add your yeast. It's that simple! Our ingredient kits now all come with a cutout to slip into our custom tap handle. You can easily display the beautiful graphic of our recipe kits right on your tap handle! Gary Glass started homebrewing in 1992, shortly after tasting his first homebrew while attending while attending college at Cal Poly, San Luis Obispo. Gary brews on a home-built HERMS system, and he's never brewed the same recipe twice and can't brew any recipe without some kind of tweaking. Gary is a BJCP judge who has judge in many competitions including the World Beer Cup and the Great American Beer Festival. 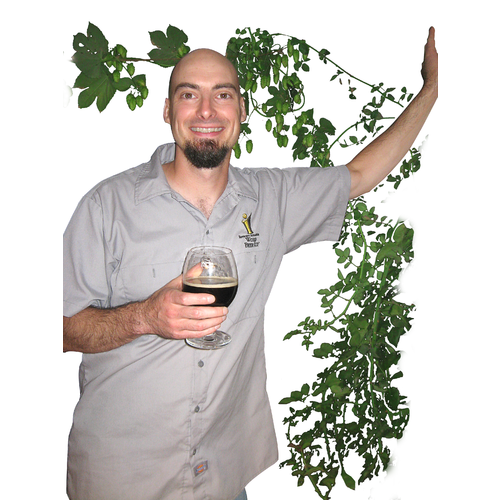 Gary is also now president of the American Homebrewers Association! Gary holds a Masters Degree in American Diplomacy from the University of Colorado at Boulder. When not homebrewing, he enjoys fly fishing, hiking, and backpacking in the Rocky Mountains. He's also into gardening (his Cascades finally produced a good crop this year! ), home improvement projects, and building furniture. Gary lives in Longmont, Colorado with his wife Erin, who fully supports his brewing habits she bought him a conical fermenter and is encouraging him to install taps in their family room. He knows you are jealous. Gary is looking forward to teaching his daughter, who is due in November, to brew someday. 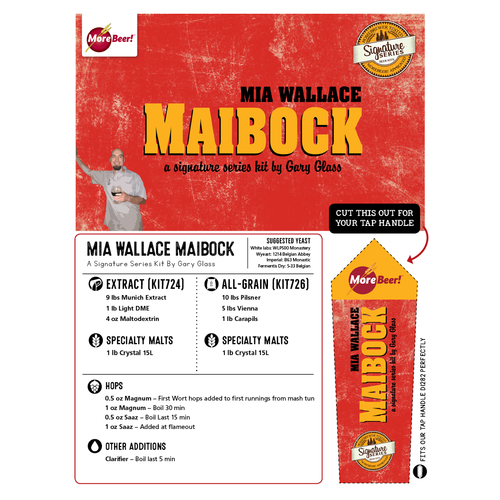 Gary enlightens us on how to authentically brew his beer: "This recipe can be brewed as either a Maibock or a Belgian strong ale. The beer was originally brewed as a 10.5 gallon batch split into two carboys with yeast slurry from previously brewed pilsner. To accurately recreate the Belgian strong ale, one should accidentally pour hot wort (due to user error with a counter-flow chiller) onto lager yeast slurry, being sure to thoroughly cook the yeast. Chill, then pitch a vial of Belgian ale yeast. 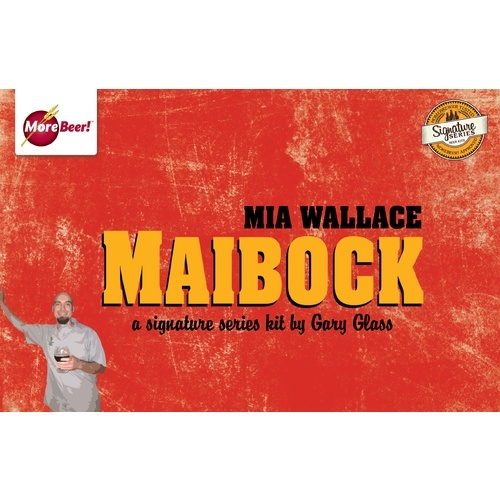 The Maibock came out great, the Belgian strong even better. Of course, if you don't feel like attempting to cook yeast to make this beer, a nice big starter of Belgian ale yeast should do the trick." Our recipe kits DO NOT include grain bags, yeast or priming sugar. The recommended yeast(s) can be found below. All grains will come milled. Drawstring Mesh Bag - 8 in. x 15 in. It's hard to tell with this one. It's ok, but I had major issues with fermentation temps because the fermentation was so vigorous. I had ice packs on top of the primary in my 65 degree basement and was having a hard time keeping the temp down. I had a really harsh alcohol off flavor (due to the fermentation temps) which did get better over time in the keg. So... your version would be better than mine.